Fake News on Steroids -- Has The CIA Infiltrated Russian Media? Fake News on Steroids — Has The CIA Infiltrated Russian Media? In the wake of revelations that the Washington Post—which has been leading the charge against the so-called “fake news Russian propagandists” in the independent press—is owned by CIA business partner Jeff Bezos, new concern should be raised about the possibility that the long arm of Langley extends into foreign press, as well. And specifically, into Russian media. And why wouldn’t the CIA try to infiltrate the Russian press? Short of eliminating Putin and putting in a body double, using the Russian press to pursue the US’s information-disseminating interests would be standard operating procedure. Certainly the Western European press has already succumbed to US imperatives. The CIA has a long history of attempts at press control. Operation Mockingbird, launched in the 1940s by Frank Wisner, was reportedly operational “at least” during the 1950s, 1960s and 1970s and recruited journalists to represent the CIA’s position. While Mockingbird was reportedly terminated in 1976 by an order of then CIA Director George Bush, the relationships continued. At this juncture, we appear to have two medias entire. We have the mainstream press and the “independent” or “alternative” press. Would it really be so shocking to learn that the latter is also now infested with CIA golems? A case in point might be made by the coverage of my recent presentation at the Biological Weapons Convention in Geneva. Literally hundreds of press releases were sent out to the Western media, not only in the US but also to press organizations in Germany, France, Great Britain and Switzerland, advising them that proof would be provided to the BWC that the US was in violation of the treaty in some rather alarming ways. As it eventuated, the only mainstream coverage given the allegations that the US was violating the treaty was provided by TASS, the Russian news giant, which published an article specifically detailing these claims. 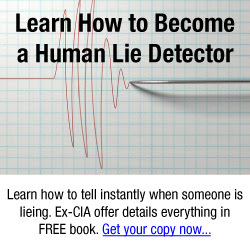 However, if the US is actually allowing the release of selective evidence at this convention it does suggest that it will look elsewhere for programmes to do wrong under….But it may convert them to other purposes if it can find a better way of doing the same thing, bio warfare—and a controlled release of information suggests it has begun to do in some hotspots. In other words, according to REDACTED1, my groundbreaking presentation at the BWC was “allowed” by the US government. According to the implications, by making this presentation at the BWC, I served as a vetted tool for US interests. I happen to know that even the reporter in question does not believe this. After returning from Geneva in mid November, I received a Facebook message from him inquiring how I was able to do what I did in Geneva and get out of there alive. As his article also involved plagiarism and numerous factual errors, I wrote the editors to lodge my protest. To date, it has not been published. That very same reporter, interestingly, has ties with another “independent” news outlet which has recently come under fire as being a CIA operation, and which has many more reporters also doing double duty and writing for this Moscow-based organization. One in particular, REDACTED2, makes no bones about his intelligence ties. 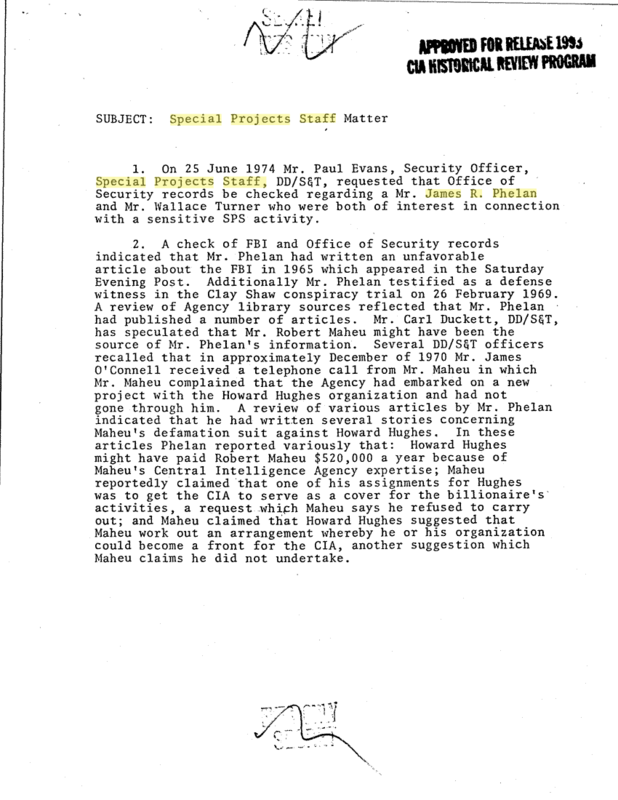 His published bio includes his membership in “Association of Intelligence Officers.” Others involved with these suspect organizations have been scrutinized in this post on the Wayne Madsen forum. Apparently, this forum post relates to an unavailable article by Madsen, entitled “Spooks Today” and is possibly available only at this link, which turns out to be “private.” Alas. . . . The stated concerns in the above post about the shadowy Adamus Group, however, have been at least partially verified. Both REDACTED2 and numerous others are publicly known to be affiliated with Adamus. One website in question describes Adamus thus, “Adamus, among other things, manages a series of organizations that oversee high security databases for national intelligence agencies, law enforcement groups and financial institutions…..Adamus is privately held, quasi-governmental and operates under the authorities of several treaties and conventions.” Adamus has also been referred to as a defense contracting firm. A defense contractor, however, generally has contracts. Right? When no contracts between the US government and Adamus could be found on usaspending.gov, this reporter contacted the press office with the Department of Defense and was told that CIA contracts were non discloseable and would not therefore appear on usaspending.gov. REDACTED3 is listed as a Senior Editor in “independent media” as well as a board member of Adamus. REDACTED1, REDACTED2 AND REDACTED3 are regular contributors to Russian outlets. One might also notice that some of the commonly cited Russian independent outlets all heavily use Western reporters. Strangely, none of these websites has published a word about the allegations made at the BWC implicating the US government in treaty violations, although all received the press release and other materials. Only TASS, Russian to the core, reported on this. As Russia is now reportedly going to be hit with sanctions for their alleged hacking of emails negative concerning Hillary Clinton, one must wonder how deep the US’s desperation to control the truth has become. If infiltrating Russian media with CIA-connected journalists is not enough to sway the hearts and minds of international readers, is the next step going to be to devastate Russia’s ability to even promote an alternate version of the facts? If infiltration does not succeed, will all out cyberwar and economic sanctions do the trick? And if Russia submits to what amounts to US mandates of what can and cannot be published, does this mean that truth is not welcome in any latitude? Perhaps it is best that each one of us learns to employ a new level of discernment within an information matrix growing more complex by the day. 23 Comments on "Fake News on Steroids — Has The CIA Infiltrated Russian Media?" CIA and FSB black ops are working joint operations to create faux antagonism between the US and Russia. Lenin and Stalin were Bankster puppets. Larry Summers oversaw the privatization of Russia state assets for a pittance creating an entrenched oligarchy. WEAVE THE THREADS. Phew! All of that in the one sentence. A bit of syntax would go a long way towards a cohesive message. And it wouldn’t hurt to provide context and links. +eddy One mans CLAIMS of “mumbo jumbo”. Usually they know better and are hasbaRats. They kinda stick out…don’t they …..hahahahaha! Context & links: what are you looking for “mumbo jumbo”? Official names of the BIS central banks in BRICS nations or lists and details of nations implementing UN Agenda 2030? In the comment Eddysachs replied to, I already provided a great link on the 1999 Moscow FALSE FLAG attack ordered by Putin as he transitioned from head of the FSB to Prime Minister. You are right. Almost like a couple of the posters are having a private stream of consciousness session and we are not privy to what they discussed in previous sessions. Makes me wonder if these are “professionals” invading the site, but perhaps I am a bit too suspicious? Journalism 101: Ensure that your reader knows what you are talking about since the whole purpose of writing is to impart knowledge, convey ideas, etc..
hahahaha!…you are such an obvious ‘spook’ totally bereft of the cognitive ability for ‘critical thought’…it’s all there in black & white…sad that you’re stuck in the shallow end of the gene pool…maybe try stand up comedy next time…you’re hilarious!. Now read Yeats notes yeatsvision (dot) com/secondnotes.html on his poem. You will clearly see it doesn’t fall into this category, “…reader knows what you are talking about since the whole purpose of writing is to impart knowledge, convey ideas, etc..”, it is knowledge for higher level thinkers that preserve the foundations of civilization in dark times. I hope that helps dispel your fear of invasion by the enemy, and might help you be respectful to your earthly brethren. Got to love the replies on this VERY “cohesive” and accurate statement, about which ALL real activists,[2-5%], are aware. Most ‘activists’ are a certain tribe I cannot name reframing evidence while inserting poison pill [rabbiT pellets] into real problems they created and maintain the coverups. 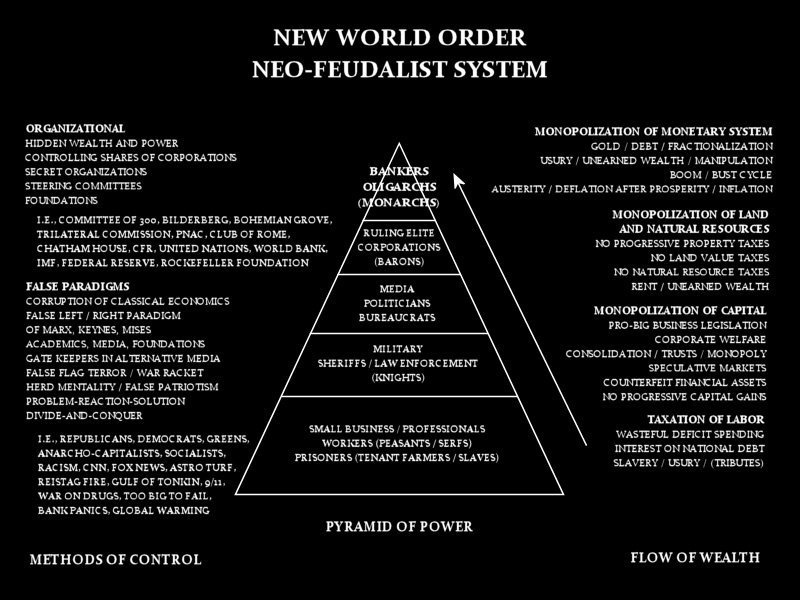 Sad that that appears to be the case…most of the ‘Hypnozombed’ are unaware that they’re sleep-walking into a total global totalitarian enslavement & democide…Eloi lining up for the Morlock’s abbatoirs. While George H.W. Bush was officially CIA Director for about a year in 1976, secretly he joined the CIA while attending Yale and has been a deep cover CIA agent throughout his political career, as documented in the book “CIA: Crime Incorporated of America”. Bush was actually involved in the JFK assassination in 1963 and was managing the Contra Cocain Kitchens while acting Vice President in the Reagan Admininstation. His outlawing Operation Mockingbird in 1976 was little more than a joke in the CIA which merely continued the propaganda operation under a different name. “And why wouldn’t the CIA try to infiltrate the Russian press?” I’m sure it sistematically tries to accomplish those kind of tasks…that’s the whole point of covert agencies’ functionality. I’m highly interested why mrs. Phelan blamed one of the most neutral and educated professor-journalists, Jeffrey Silverman for being a CIA agent…Is she helping or hurting his reputation – or is she trying to hurt it with the Russians – making them think that he is a CIA plant. This is utter nonsense. The article concerned claims that Ms. Phelan was manipulated by the US government. But here she reacts very defensively about it. Maybe there is more to this than meets the eye? What’s the relevance of 50 USC 421 Sec. 601. (a) to this article? Did the author ascertain the identity of a U.S. covert agent at the UN Bioweapons Convention in Geneva? If so, who? Is she in-fear of being prosecuted for it? Is this why Janet Phelan referenced the U.S. law on secret identities? No, of course not. As usual, Janet Phelan is casting forth random references to the law, which have no correlative relationship to her allegations about U.S. official activities. In her “trademark style”, Phelan draws shamelessly on inference and supposition to backstop her unsubstantiated claims, showing the same water-system photo she’s used in this effort for nine years. Phelan aggravates this journalistic turpitude by extrapolating her bizarre personal history to a wider plot against all U.S. citizens, i.e. Janet Phelan’s unverified claim has been, since 2007, claim that the U.S. government is plotting to poison selective sectors of the American public, using the water system. Even if that’s true, can she not find anything else to report about in nine years? There’s no shortage of weird (even nefarious) U.S. government projects, but poisoning via the water system is all Phelan seems to care about. The very least she can do is get some new data,i.e. the same photo has been used by her for the entire 9-year campaign. Phelan’s so-called journalism revolves almost exclusively around herself, vis-à-vis two topics: racially-selective poisoning of civilians by way of the water system, and corruption of U.S. courts and judicial-administration offices vis-à-vis the guardianship procedure. If she’s moved-on to exposing undercover U.S. agents, and risking 10 years in prison, it would be a welcome relief to the pablum-based opining she’s conducted online for the prior decade. There may be a reason that no main-stream western media covered her BWC pronouncements other than a conspiracy, but Phelan lacks the reflective capacity to see it. add note: Where is the TASS article referenced by Janet Phelan? It’s nowhere online. Typical of Janet Phelan’s numerous claims without evidence. Here is the TASS article referenced above. What other “claims without evidence” are you alleging? неправительственной правозащитной организации ITHACA Джанет Пелан. США вышли из конвенции по биооружию? сообщения о складировании биоагентов вблизи военных баз. ООН по предотвращению пыток о ситуации в Соединенных Штатах”. меньше”, а “давления со стороны полиции – все больше и больше”. которую мы считали столь важной”, – отметила эксперт. Janet Phelan is a rabid paranoiac who sees spies wherever she goes. The fact that she thinks anyone would have any interest in her, and her water theories indicates the scope and scale of her narcissistic grandiosity and hypomanic ideation. 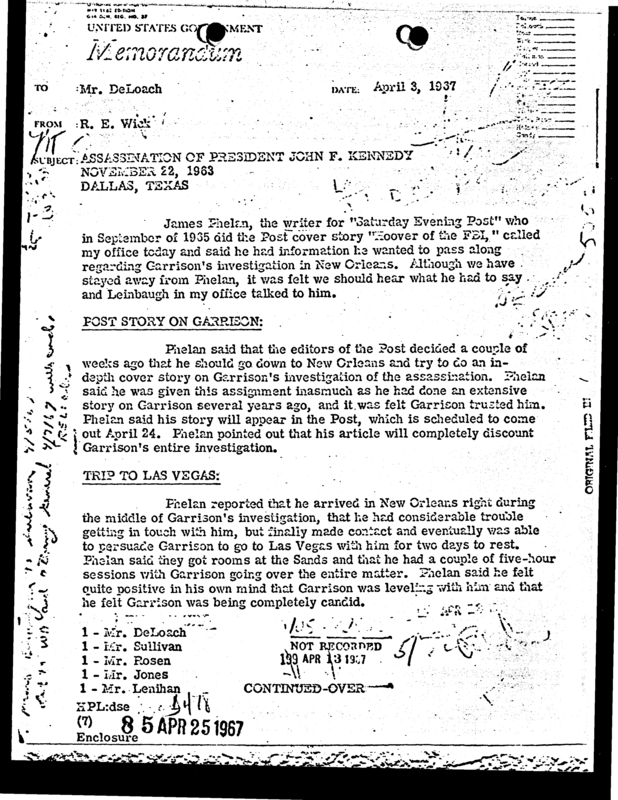 Janet Phelan’s Dad was an FBI informant in the JFK investigation. Janet Phelan was interviewed by CIA investigator Hank Albarelli in his book “a Terrible Mistake”, whereby she gave Albarelli the location of one of her Dad’s (many) CIA buddies, this one, the suspected murderer of Frank Olson. Janet’s name is listed as helping Albarelli find the CIA thug (Jean-Pierre Lafitte) who possibly murdered Frank Olson. So Janet’s Dad was involved in two of the most famous CIA scandals. That, in addition to the fact that Janet’s Dad’s book on Howard Hughes was linked to her Dad’s relationship with Robert Maheu, the CIA officer who worked with Hughes, i.e. 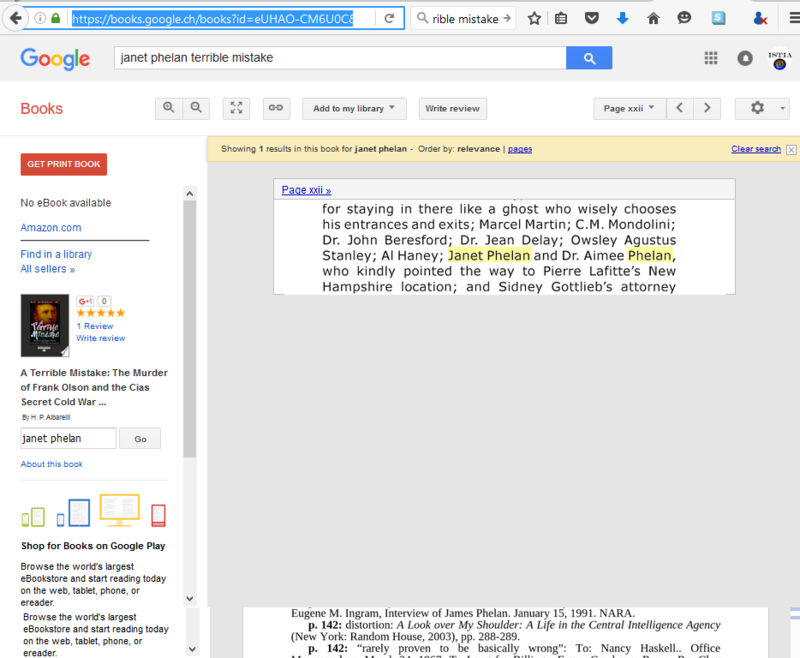 Janet Phelan come from a family *very* linked to the CIA and FBI. Yet she goes round accusing everyone else of working for the CIA, which is a “lot of nonsense”. Janet Phelan is a CIA-brat herself, and the fickle-finger of fate is pointing right-back at her.